Every night, India and Pakistan engage in a ridiculous border ceremony at Wagah, on the outskirts of Amritsar, where respective national armies engage in a choreographed display of synchronized aggression, cheered on by their compatriots. And soon, the Indian Express reports that similar border ceremonies will take place on the India-Bangladesh border – however, these will be “minus the aggression” at various crossings in West Bengal and Tripura. Cynics may wonder if the misery of border life will be swept under the carpet for a few moments each night while the sanskriti takes place for middle class urban tourists. Does this just play into our stereotypes – the martial Indian and Pakistani Punjabis within earshot of Lahore, and the poetry-reciting East and West Bengalis too busy with their Nazrulgiti to even pretend to get charged along Radcliffe’s markings? Both Bengals chose paths forcing them to look Westwards after 1947. One Bengal had a violent reaction to the set of events that followed; the other was spared a parallel horror but continues its integrated existence with those thousands of miles away while remaining largely oblivious to those right next door. Both Bengals are well aware of the jokes and perceptions lurking beneath the surface coming from that direction. But perhaps the different way we may end up commemorating the border in our part of the subcontinent is a good step in reminding us, at least for a few moments each day, that in spite of 1947 and all we have been through since, our reality doesn’t have to be like the one our Western cousins have carved out for themselves. Next Photography’s elusive credit line; and, should we pirate Photoshop? A different way of commemerating the border? Indians kill Bangladeshis whenever they feel like it, and it is internationally known and condemned. People singing songs on the border pretending we are like brothers is hardly a good way to recognize the tragedy of what goes on there. If they killed whenever they felt like it, the annual death toll would be in the thousands. But why let facts get in the way of a good nationalist saber-rattling. You and your kind have battled “enemies” the whole of our independent existence, and a lot we have to show for it. Your politics are old and tiresome, but they never cease to get bahba’s. No doubt your the privileged chatterati can fill their stomachs with such empty cheers, but the subaltern on both sides of the borders cannot. Time to think of a new way for India-Bangladesh relationship, and yours will be the futile vulture chorus but not our future. If India kills even ONE person per year at the border, then it doesn’t seem like any brotherhood relationship, does it ? We can consider India a brother as much as we like, but somehow India seems to consider Bangladeshi “foreigners” (not brothers), who can be shot at, at the brotherly borders. How much longer can such brotherhood be tolerated ? And can we blame Bangladeshis for feeling “anti-Indian” when citizens are killed by TRAINED soldiers, without any hesitation ? For a brotherhood feeling to exist, the actions must be mutual – and not just a rhetoric at annual SAARC meetings. India needs to feel the brotherhood too – before the Shimana becomes a Tagore song and dance ! While many people from Bangladesh refer to India as their big brother, in actuality this brotherhood does not exist. The only reason they have this misguided perception is that India gave shelter to refugees during the 1971 war. However, they should remember that India did not do this willingly and even reached out to the U.S. to help bring the war to a close because the number of refugees was increasing. Let us look at the Farrakka Barrage issue that has been a major problem for Bangladesh for many years. Where was the brotherhood when India was diverting water away from Bangladesh leaving its major waterways dry during a good portion of the year? Like I said this brotherhood does not exist, and really has never existed except in the minds of a minority of Bangladesh nationals. When we call India “big brother” I don’t think it is out of affection! But please tell me, who is our “friendly, equal brother”? Some of our people have this image that for instance, in the Middle east, because of common religion, they will welcome us with open arms, bouquets of flowers etc when we arrive, but those of us going there, know the reality of what life is like for both professionals and laborers. Some of us think China is our friendly brother, but honestly, I don’t think China even knows we exist. Our relationship with INdia and Pakistan are complicated because of historical ties. It always does surprise me though that India attracts such a knee jerk reaction from some people. Perhaps because we are so familiar with them. Through tv, trade, travel etc. Coming to the specific point of the post, ceremonies at the border may be interesting. But we should remember why the border exists in the first place. Thank you. As an outsider looking (but not one who is uninformed – far from it) I am saddened by the nationalistic sentiments echoed in the comments here. India did far more than just shelter refugees begrudgingly. Almost every history book acknowledges that without India’s military help the 1971 war could have turned out very different indeed. It is, without doubt, sad and a terrible crime that bad people in India kill Bangladeshis (though I’m not sure of the actual circumstances and acknowledge my ignorance here – usually when it happens, aren’t these Bangladeshis who try to cross the border illegally?). No one should be killed and those that do the killings should be punished, but that does not write off the whole of West Bengal! India is not your brother because of these killings? Then I put to you that the Bangladeshi next to you is not your brother or your sister or your father or mother. After all, far more deshis kill deshis each year. For as long as sentiments and grudges like these are aired and spouted there will continue to be violence in Bangladesh and across former Indian subcontinent countries. Personally, I long to see the border fences torn down so that Indian and Bangladeshi can mingle freely in trade, friendship and honour. Right now, I doubt I’ll live long enough to ever see this happen. Looking at the ‘nationalist’ comments above, and the way Bangladeshi politicians forgive India every day, you will notice that they ALL DO consider India as their ‘brother’, but judging by India’s actions of killing Bangladeshis it is pretty obvious that it is India, who does NOT consider Bangladesh the same way. Firstly, it was not Bangladesh who built the fence – it was the brothers of India !! Second, if Bangladesh killed all the Indian smugglers who cross the Bangladesh border daily with illegal drugs, narcotics and unhealthy foods from India, then India would create an ‘international’ hue and cry against Bangladesh. Finally, you should NOT bring the 1971 war history to justify India’s political activities today. India’s helping refugees of 1971 was an event that India supported for their own political advantage of separating Pakistan. And even if India’s help was a key to make Bangladesh separate – that event was history, and nobody (especially India) should EVER dangle that in front of Bangladesh as a permanent obligation to India. India already got their reward for that event, in 1971. Imran Ali, slyrslaraiba, S A Rahman and yourself all make comments indicating you don’t consider India as a brother. It is to all four of you I addressed my comments. Your argument of the fence is moot – most countries have border fences and the one with India was put up in 1947 when there was a great deal of tension, mistrust and bloodshed between the the two countries. I still would love to see all fences torn down all over the world. Whilst relations between the two countries are not perfect (which two countries have relations which are?) I think you are tarring the entire Indian nation with one brush which is unfair and unhelpful. My single point in response was that this is incorrect and I stand by that. I brought it up because someone else did and that validates my comment. I DID NOT attempt to justify India’s activities from this though I disagree with you opinion of why they helped. It is not being used to dangle in front if Bangladesh in some kind of attempt to extract obligation. Nevertheless, you can’t pass off the help India gave in 1971 and decide that when something bad happens it is back to ‘business as usual’. Britain and America used to be at war with one another. During the World Wars America helped Britain and the two became firm allies. But in more recent times there have been whole wars where more British soldiers have been killed by American ones that the enemy they were fighting did! While justice was sought for the soldiers that died, no one suggested that the British should go back to thinking of America as the enemy. ‘Friendly Fire’ was wrong but that didn’t mean friendship was over. The same should be with Bangladesh and India. I’m not aware of the Indian Government justifying the killing of Bangladeshis. I haven’t read of India saying Bangladesh deserves this or that their actions were justified. I read of India promising to investigate and reduce the incidents and culprits to be brought to justice. I don’t see the Indian Government attempting to alienate Bangladesh. I DO see Bangladeshis speaking out hatred towards India. I can understand the anger at the deaths and absolutely condemn them. But that doesn’t warrant the distrust of India as a nation. You say 1971 is history and can’t be used in argument but I ask this: what has Bangladesh ever done for India? It is tiny when compared and I think Bangladesh has yet to repay, in any way, the help India gave. That India and Indians see 1971 as their right to do whatever they want to us is a fact. You are not a Bangladeshi, so you will not understand. However, I don’t disagree that other countries have similar or worse feelings towards us. Those who give us aid, for instance. If you look at how the foreign ambassadors act in Dhaka, I think it’s unprecedented in any other country that their every sneeze and hiccup is covered with so much media attention. And we all know the interfering role they played in events such as like 1/11. If India had ulterior motives in 1971, so what, I wouldn’t expect them to act purely selflessly. The point is, we benefitted hugely from that. And if we have to dissect every country’s action’s motive, we would come to the painful realization that in diplomacy there is no benelovent action. Today we think China, Saudi, Gulf, Malaysia etc are our friends. But really, we are a source of cheap labour, guaranteed export markets, and strategic locations (Chittagong port, border with India, Mayanmar etc). In 1971, if India was really acting slyly, what were these other countries doing, when they were denying our very right to exist. But, that does not give India the right to lord over us for eternity. When Indians can get over that and see us as equals across the negotiating table, or the barbed wire, then we can talk about acknowledgement, gratitude etc. You totally misinterpreted my comment which says “We can consider India a brother as much as we like…” does not state we don’t. But if you look at the BILATERAL promises India had made for Bdesh since 1947, not a single one has been fulfilled by India, or “not ratified by Indian parliament”, whereas the Bdesh side all of those promises have been accepted & implemented on issues like enclaves, transit, teen-bigha, tipaimukh, teesta, farakka, fence – you name it. But the buck always fails at Indian parliament !! This makes Bangladeshi people mistrust India, even though Bangladesh is generally a moderate & friendly nation that wants to be brotherly with ALL its neighbors. The repayment for 1971 you talk about have already been paid thru agreements in all above issues. If India permanently keeps asking for “repayment for 1971”, then it becomes obvious that India did not help as a good cause, but as an ulterior motive to incessantly GAIN something by permanently persecuting (bullying) a “tiny neighbor” ! 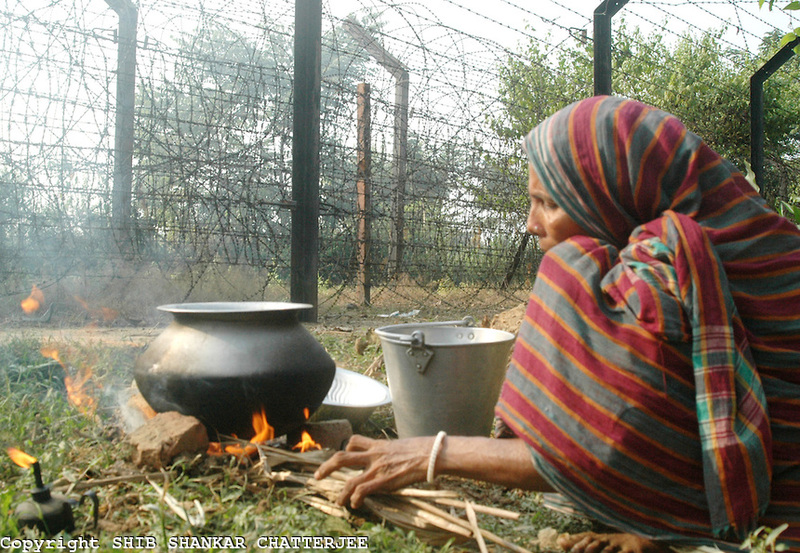 It is not just Bdesh, but the experience of all of India’s neighbor is the same. As a side note, you may notice India has HUGE disagreements on miniscule issues with every single of its neighbors – Nepal, Bhutan, Sikkim, SriLanka, Assam, Pak and Bdesh, including with their own provinces Assam, Tamil Nadu, Kashmir, etc. and the issues drag on for decades without ever any sign of resolution. Also, you are incorrect in saying the fence was built in 1947, because they are newly built, and still being made today. @kgazi – no not at all. I wasn’t thinking of that statement! I responded to this: “If India kills even ONE person per year at the border, then it doesn’t seem like any brotherhood relationship, does it ?” I stand by my comments – I responded to yours and others’ statements against the fraternity of India. @udayanc – nice quote but one that perhaps you’ve missed as being entirely humorous? The French and English have a history of being enemies stretching back to 1066. They really did become friends as a result of the liberation and the airplane ‘Concorde’ (which means in agreement/friendship) came directly as a result. What’s more, the Channel tunnel which now connects the two countries making travelling between them very easy indeed would not have happened without the end of their enmity. Macmillan was a typical Brit and had a dry sense of humour. Of course, the French still ‘hate the English’ and vice versa but it is something of nationalistic mocking of a brother rather than true hatred. In reality, the UK and France are entirely friends. @ZFN – Forgive me, I thought this was a site where intellectuals can debate issues relating to Bangladesh? Not a place where you can make racist comments attacking someone’s nationality. Did I get this wrong? Because if I didn’t, you cannot possibly know what I can or cannot understand! You don’t know me and you don’t know my background. As it happens I have a Masters degree almost finished in the Sociological and religio-political history of Bangladesh and my family were born and raised in Bengal. But beside that, nothing – NOTHING – I ever state is written without the backing of appropriate books and opinion of others – in this case Bangladeshis. I can’t see how you can disagree with the facts I stated about India which was correcting an earlier assertion that India only helped Bangladeshi refugees and nothing else. History records that India did far more than that. I did not give any reasons for why India helped – and I don’t doubt for one moment it had more than altruistic reasons for doing so. All countries work in their best interest and India is no different. Nevertheless, the 1971 war would not have been won without India. I said nothing more than that other than to express my personal sentiment that I wish all of Asia could live in peace together without killings or bickerings. Judging by comments here, that is still a far off dream. The things I have written have, over time, been said to me by many Bangladeshis – even when one or two are not fond of India so I am confident that I am not speaking out of turn about such matters. My personal opinion of India might be very different but I’m not expressing it as I don’t have the backing of other voices behind me – but perhaps you’ll never know what it is. So please – argue against me, by all means, with facts, quotes and counter-arguments. As one intellectual to another, I welcome them and will do my best to respond. But don’t tell me I can’t understand something because of my nationality. In the international academic community, that is just not an acceptable thing to say. you said “….I think Bangladesh has yet to repay, in any way, the help India gave [in 1971].” Then in last comment you said “I can’t comment on your statements about what India has or has not fulfilled, as I don’t know enough about it”. To me it is obvious that you “don’t know enough about” what Bdesh has fulfilled either, (and not just India) which is the reason for your position about protesting against the actions of India, and for saying “Bangladesh has yet to repay”. Without defending India for all their mini-territorial big politics, what one should do is wish that India was more magnanimous, more broad-minded, in their dealings with its tiny neighbors, instead of bullying, failing, blackmailing and threatening them with India’s ‘super power’. Then only would the sub-continent be a FAR more prosperous, peaceful and prominent region of the world. And there would be NO need for nuclear weapons across borders !! It is India that needs the finger-pointing, not the commenters of this blog – to achieve a peaceful protest against petty politics of the Indian kind. Some very good books on Bangladesh have been written by “non-Bangladeshis”, including Schendel, Lewis, Jalais, et al. Meanwhile “Bangladeshis” have sometimes produced weak scholarship devoid of footnotes, rigor, or fact-checking. National origin is no guarantee of good scholarship.